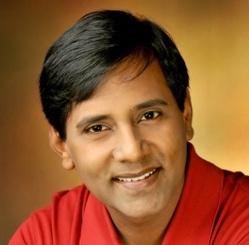 Srikanth Pragada is the director of Srikanth Technologies, a software training company. Srikanth conducts training on C, Oracle, Microsoft.NET, Python, Angular and Java. He is webmaster of this site and writes the entire content of this site. This website is meant to provide his blog, programs, projects etc. to learning community. Here is a summary of events in my life in 2018. In this blog, I show how to add a JAR file to Local Repository so that Maven can use it. Here is my new FREE course at Udemy to help students prepare for C Language Interviews. Python Language examination enables you to asses your knowledge of Python Language and Library. In this video, I show how to use DB API of Python to connect to SQLite database. This blog lists styles to be used while writing Python code. In this blog we create a Rest API using Django REST Framework and access it from jQuery client. In this blog, I show how to create and use custom directives in Angular. I have published an online course - C Language For Beginners at Udemy.Com. This blog helps you to understand what is Method Resoultion Order in Python and its usage. This blog shows how to connect to Oracle from Python using cx_Oracle package. Here is a summary of events in my life in 2017. This blog gives information related to Microsoft Certification. The blog throws light on learning, saving money or time. This blog shows how to allow user to search for songs in the device by title and play selected song. In this blog, I explain how to use realtime database Firebase from Android Application. This blog shows how to use new features of C# 7.0. This blog shows how to use new features of C# 6.0. This blog shows how to use Rest API provided by GitHub from Spring Framework. This blog shows how to get started with Spring Framework using STS and Maven. Here is a summary of events in my life in 2016. This blog shows how to create a project using Maven in Eclipse that uses Hibernate to access Oracle. This blog looks at my 25 years of blissful training. This blog shows how to use Jersey and Jackson to create a Restful service and jQuery to consume it. This video tutorial shows how to use CodeBlocks IDE to write, compile and run C programs. Learn how to use Oracle Application Express to access Oracle Database 12c. This web application allows users to store important information in the form of notes. This blog demonstrates how a Fragment communicates with Activity and other Fragments hosted in the Activity. This web application allows users to order books online and pay by cash on delivery (COD). This blog shows how to create a Restful service that supports Create, Read, Update and Delete operations. This blog shows how to change password of SYSTEM account if you forgot it. Here is a summary of events in my life in 2015. This web application allows users to maintain their diary online. In this blog I describe my typical day. This web application allows users to store details of fixed deposits. This blog shows how to change port number of GlassFish Server 4.1 from 8080 to 8888. This blog shows how to provide information about employees in Oracle Database using RESTful service and how to access service using jQuery client. This web application allows users to store details of Incomes and Expenditures. 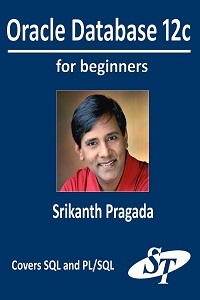 C Language for beginner is now available on Amazon in Kindle Edition. In this blog I provided the solution regarding - 127.0.0.1 is not recognized - error of Tomcat in NetBeans. This website allows users to store important information called notes. This blog shows how to consume ASP.NET Web API using AngularJS. This blog shows how to use Webcam to snap a photo and store that photo in Sql Server Database using MS.Net. This web application allows users to store and manage their projects and tasks. This blog shows how to use LocalStorage to store shopping cart so that cart is retained across requests. This website allows users to store information about events. This web application is used to send emails to students of batches. Here is a list of SQL Queries and PL/SQL programs related to tables in HR schema in Oracle Database. Here is a summary of events in my life in 2014. In this blog I explained how to work with Streams introduced in Java8. This web application allows users to store and manage lyrics on web. This web applications allows users to store and track bank accounts and transactions realted to those accounts. 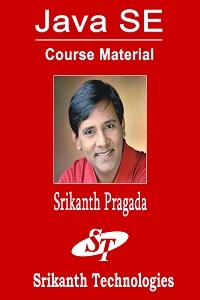 C Language for beginners is a book written and published by Srikanth Pragada. It provides all a comprehensive coverage of all topics of ANSI C.
Quincy 2005 is an open source IDE for C/C++ on Windows. Learn how to download, install and use it. This web application allows users to stored information about their accounts of other websites. This web application allows parents to get information about their children in School. My blog regarding important events in 2013. 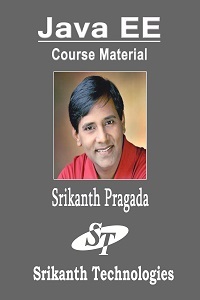 Srikanth Technologies offers 10% discount on course fee for all regular courses to classroom students, who completed any classroom course in last 24 months, as Loyalty Discount! Copyright © Srikanth Technologies. All rights reserved.